Our department has close collaborations with four research centers. 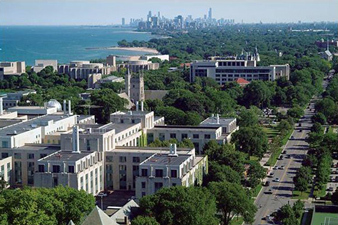 The first two, Center for Optimization and Statistical Learning, and the Center for Engineering and Health are led by IEMS faculty, while the other two are Northwestern wide initiatives. These multidisciplinary centers serve as a focal point for research, teaching, and outreach. The Center for Engineering and Health, a member center of the Institute for Public Health and Medicine at Northwestern University Feinberg School of Medicine, looks to develop methodologies and tools to improve health delivery for better care at our affiliated hospitals and beyond. We are a joint venture of Northwestern University Feinberg School of Medicine and Northwestern’s McCormick School of Engineering and Applied Science. The mission of Northwestern's Institute on Complex Systems is to serve as a hub and facilitator for path-breaking and relevant research in the area of complexity science transcending the boundaries of established disciplines. The institute focuses on the theory of complex systems and network sciences, as well as their application throughout a wide variety of domains. These areas include business, education, engineering, law, medicine, natural science, and social science. The goal is to solve important and practical problems through the use of complexity science, and to actively disseminate the results through scientific publications, education, and corporate development. Since 1954, the Northwestern University Transportation Center (NUTC) has been recognized as a leading interdisciplinary education and research institution. It is dedicated to the long-term improvement of domestic and international systems for the movements of materials, people, energy, and information. NUTC serves industry, government, and the public through its research, through Northwestern's graduate-level degree programs, and through other educational and outreach programs.